New details about Madden NFL 19‘s franchise mode were revealed today at EA Play, the company’s annual fan festival. 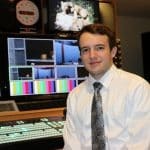 Gamers will have more control than ever before when in control of the team. The goal of EA play is for EA (Electronic Arts) to showcase the company’s upcoming games, including Madden NFL, FIFA, NBA Live, NHL and others. 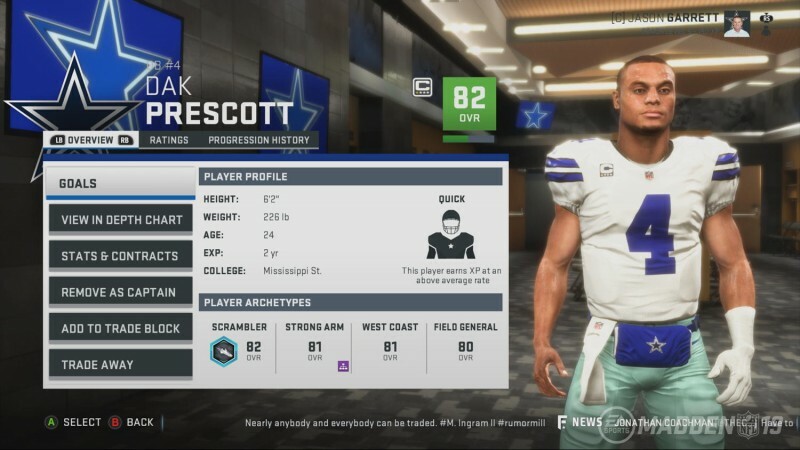 Madden NFL 19‘s franchise mode features a retooled progression system, custom draft classes, more detailed team schemes and player archetypes. Team schemes are back in Madden 19, but will be more impactful towards progressing your players. For example, attempting to develop a slow, pass blocking offensive lineman in a vertical zone run scheme (pictured below) will be more difficult. A look at the redesigned team schemes page in Madden NFL 19’s franchise mode. Once you pick schemes for your team, you then need to assemble your roster to fit that scheme. 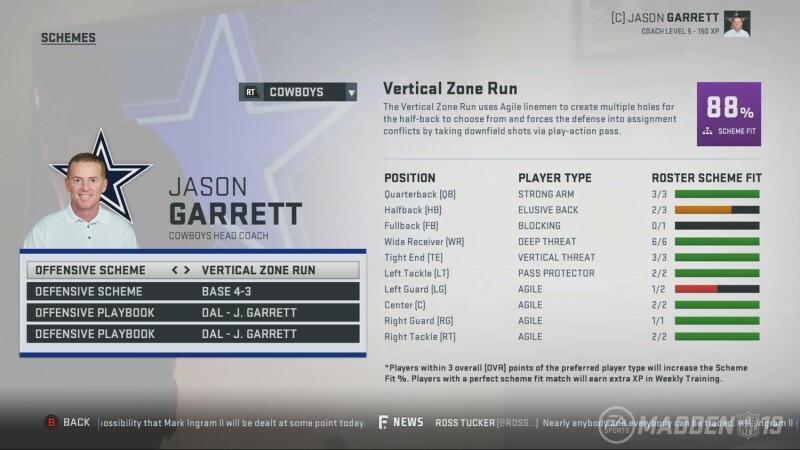 As you can see, there are new player archetypes in Madden NFL 19. New examples include field general (QB), agile (OL) and slot (WR). Matching player archetypes to your scheme is key in earning more XP for your players. Unfortunately for cheesy players, you will not be able to simply build up players and dump all of the XP on speed. You now need to select an archetype for a player and build him in that archetype. The specific attributes boosted are random. This may be the biggest change made in franchise mode, especially when you consider online leagues. Additional changes include the removal of ‘slow development’ players. Instead, the four development types are normal, quick, star and superstar. Per EA, only 30-40 players will start with superstar development. Also, player traits can no longer be purchased with XP. Traits will simply be something a player does or doesn’t have to begin their career. Check back with us throughout EA Play (ends June 11) and throughout the summer, as we will be covering all Madden NFL 19 news leading up to the August 10 release. What do you think of these new Madden NFL 19 details? Are you excited to play franchise mode when the new game drops? Let us know in the comment section below, and don’t forget to subscribe to SGO.